Showing items tagged with "Goldfish syndrome" - 1 found. Who has a better attention span, you or a goldfish? 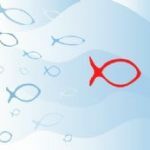 Recent research has found that thanks to constant digital interruption our ability to focus has now been reduced to less than that of a goldfish. Goldfish have an attention span of about nine seconds. Since the turn of the century ours has been reduced from about 12 seconds to eight. Why? Because we allow ourselves to be distracted by new emails and social media alerts. Top tips on how to improve productivity and performance by not being distracted by new emails etc.